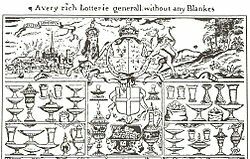 For centuries, people around the world have been playing the lottery. Monies raised from these lotteries funded the building of historical landmarks, as well as city infrastructure, educational institutions and of course some wars too. Read more about The Lottery – A Glimpse Through Time.